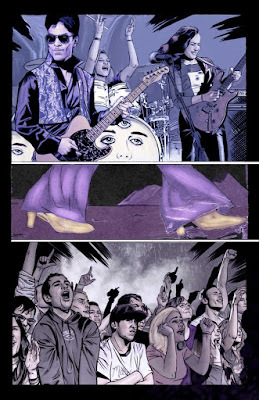 Tribute: Prince - Available in both print and digital formats. 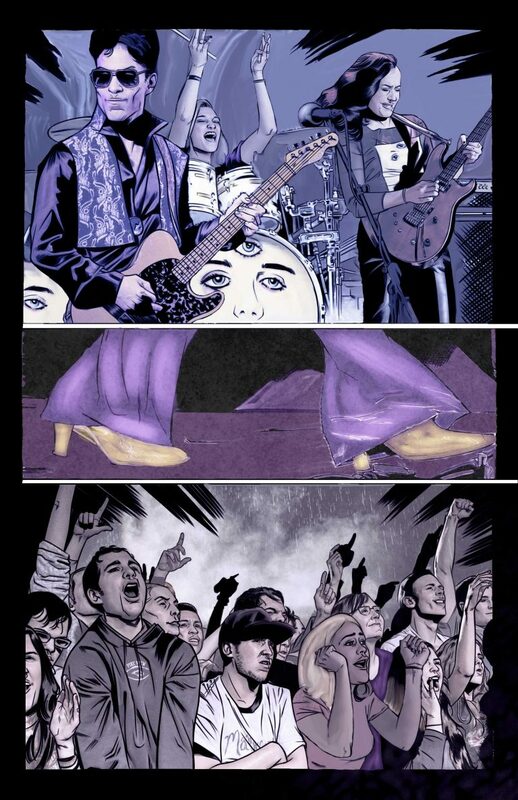 Regrettably, so much has been left unsaid about the passing of the legendary music innovator, Prince Rogers Nelson, that Michael L Frizell decided to devise a 24-page comic book about him with the two artists, Ernesto Lovera and Vincenzo Sansone. The one-shot also features three collectible covers by Sansone, David Frizell, and Pablo Martinena. "I first became aware of Prince's music when I was in high school thanks to the songs '1999', 'Little Red Corvette', and others", said Michael, "plus I can remember listening to his stuff almost religiously when the soundtrack to 'Purple Rain' hit the airwaves. His sound and lyrics defined the era for me in ways that Michael Jackson didn't, and, quite frankly, couldn't. The subjects of his songs spoke to me in ways I didn't understand until I was older, but the dark poetry of them compelled me to keep listening. To this day, my iPod is full of his work, and I listen to it as I write". Storm Entertainment president Darren G Davis added, "I hope readers come away with not simply a sense of the richness of his life, but how he influenced practically every artist that came after; regardless of genre". Over the years Storm has published some well-received tribute biographies of other musicians, including John Lennon, George Harrison, Whitney Houston, Amy Winehouse, Michael Jackson, David Bowie, and more. Basically the “Tribute” series of comic books serves as a pop culture companion to Storm Entertainment’s successful “Female Force”, “Political Power”, “Orbit”, and “Fame” series. The biography comic form allows Storm’s talented writers to delve into the history of certain newsworthy figures and explore what shaped them. These biographical comic books have been featured on CNN, Politico, Roll Call, The Today Show, FOX News, and in People Magazine among thousands of others. On an end note I would like to personally add that Prince, the artist, or whatever he wanted to be called, was an inspiration to both myself and many members of my family, as we've always appreciated his work, jived to his melodies, taken note of his songs, and lived a life similar to the one he once lived on the streets of Minneapolis, all those many-many years ago. 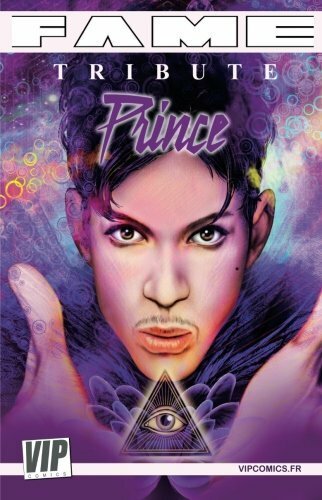 “Tribute: Prince” is available on your e-reader at either Amazon or The Comic Flea Market, priced around $3.99.